Creative Mountain Games: Media News Monday - Bourdain's Blade Runner, Twin Peaks Direction, & Happy Towel Day! Media News Monday - Bourdain's Blade Runner, Twin Peaks Direction, & Happy Towel Day! It's a triple-squee week for some folks with lots of interesting news in the offing. 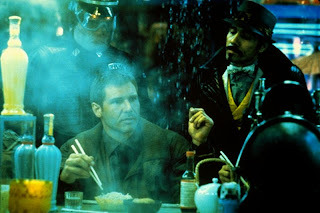 First off, consequenceofsound.net has recently let us know "Anthony Bourdain to open giant Blade Runner-themed food market in New York City" here. 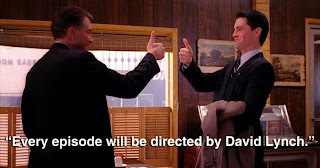 Also, from welcometotwinpeaks.com, "Twin Peaks Saved! David Lynch To Direct Even More Than Expected, Thanks Cast And Fans." Learn more here. Finally, don't forget that today, May 25th, is Towel Day! 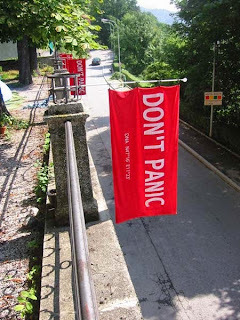 As per wikipedia, "Towel Day is celebrated every year on 25 May as a tribute to the author Douglas Adams by his fans. On this day, fans carry a towel with them, as described in Adams' The Hitchhiker's Guide to the Galaxy, to demonstrate their appreciation for the books and the author. The commemoration was first held two weeks after Adams' death on 11 May 2001."